Hamilton May presents an elegantly finished apartment available for sale in Saska Kępa. The property is also perfect for those looking for a prestigious location for an office. Hamilton May is pleased to present a unique, one of its kind apartment located by the prestigious Wiejska street. The majority of Warsaw residents live in apartments, with lot of these being quite small by international standards. For this reason, there is a good selection of studio apartments available for sale in Warsaw. See Hamilton May’s list of studio apartments for sale here. Studio apartments can be found in most residential apartment buildings throughout Warsaw. Some developments in fact have a majority of smaller one-room apartments. Parents with children attending university in Warsaw will often also buy a studio apartment for them to live in. Studio apartments will generally have a small hall area, separate bathroom and one large room. The kitchen may be in the form of an annex from the large room or a separate room. Sales prices of studio apartments vary according to the standard and location, but are generally priced at a higher level than comparable larger apartments. For this reason, such apartments are favored by investors who can increase their return. 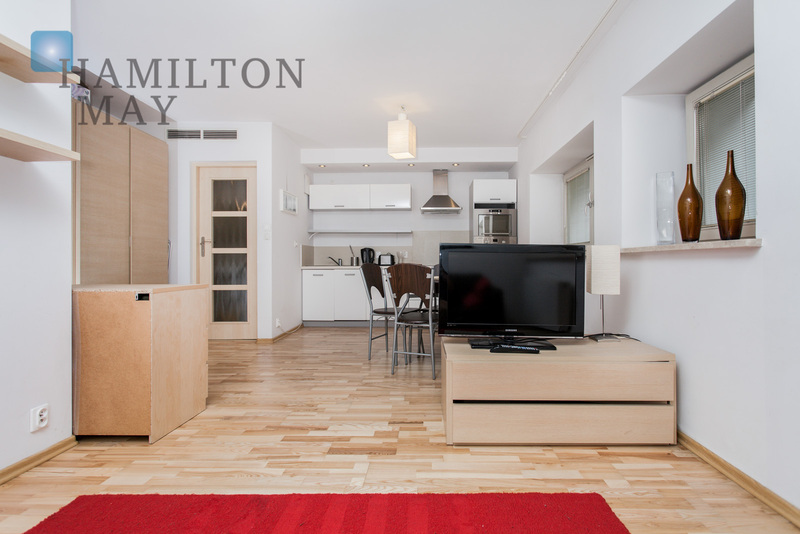 Hamilton May always has a large selection of good standard studio apartments for rent.